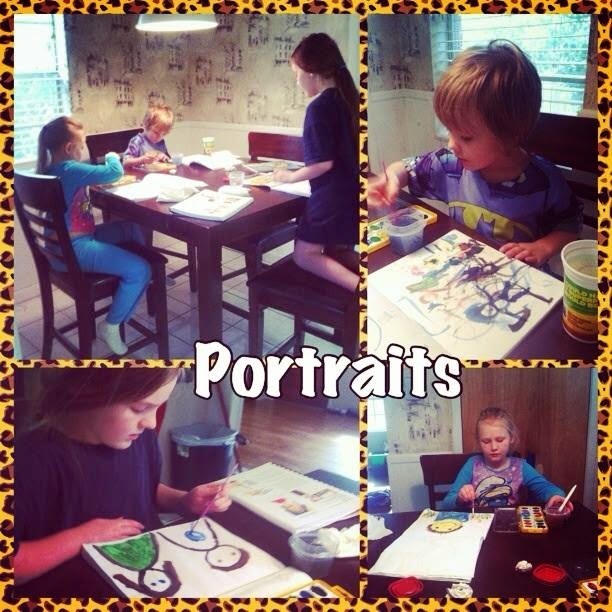 The kids and I all love ART! Being able to try out art products is always exciting, so being able to try out ARTistic Pursuits was exciting. 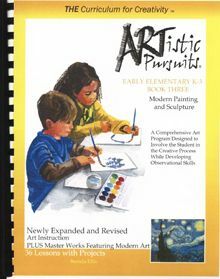 There are three books in the early elementary age set and we got the Early Elementary K-3, Book 3: Modern Painting and Sculpture book. This book is 92 pages with 36 lessons in it. The lessons are highlighted by a wonderful 216 illustrations. The book teaches about modern art and how it differs from earlier age art. The book gives a brief history of the type of art work and then gives a starting point for the children to make their own art work with the same style in mind. There are also some discussion type questions throughout the book to help engage the kids and to make sure they are understanding the lesson. Since my kids all fall into the age gap but have different levels of reading I read the lessons out loud. I then would also ask the questions out loud and have it as a group conversation on answering them. The questions were simple and follow along right with the lesson. We then would take the ideas of the lesson and implement it into our own work. I love how the book does not want you to just copy work but to make your own just using the style taught. The book also has images of other students work to show an example of the work. The first lesson we did was self portraits. This one was a hit for all the kids and it really got their creativity flowing. Micah soon went from a self portrait to a portrait of a monster and a bird. 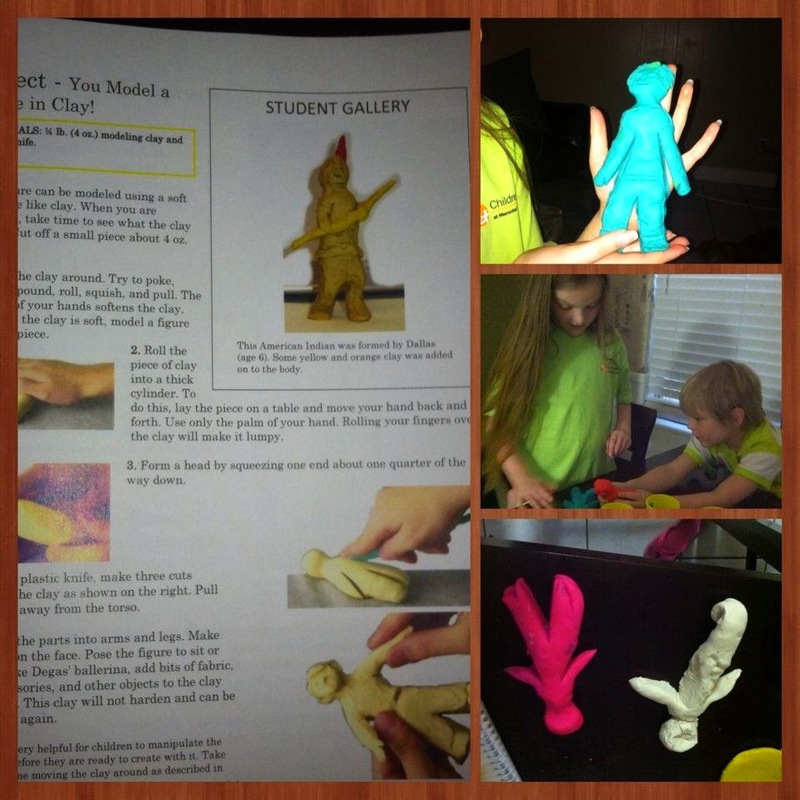 Next we did clay modeling. Once again they started with the basic instructions that the book gave to make a person. Once they got comfortable with that they started making other things like mermaids. This soon brought on searches for other creatures and things to make out of clay. The only lesson that we flopped on was using pipe cleaners. We were aiming to make animals but that quickly became frustrating for them all (I have two that do not have great fine motor skills and ADHD). 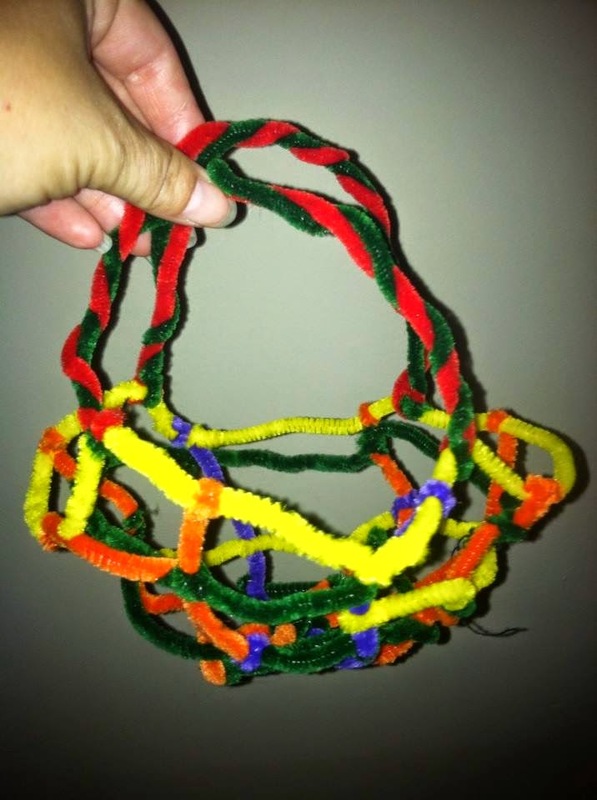 So the one that could keep attention ended up making a basket instead with every ones pipe cleaners when they jumped ship. 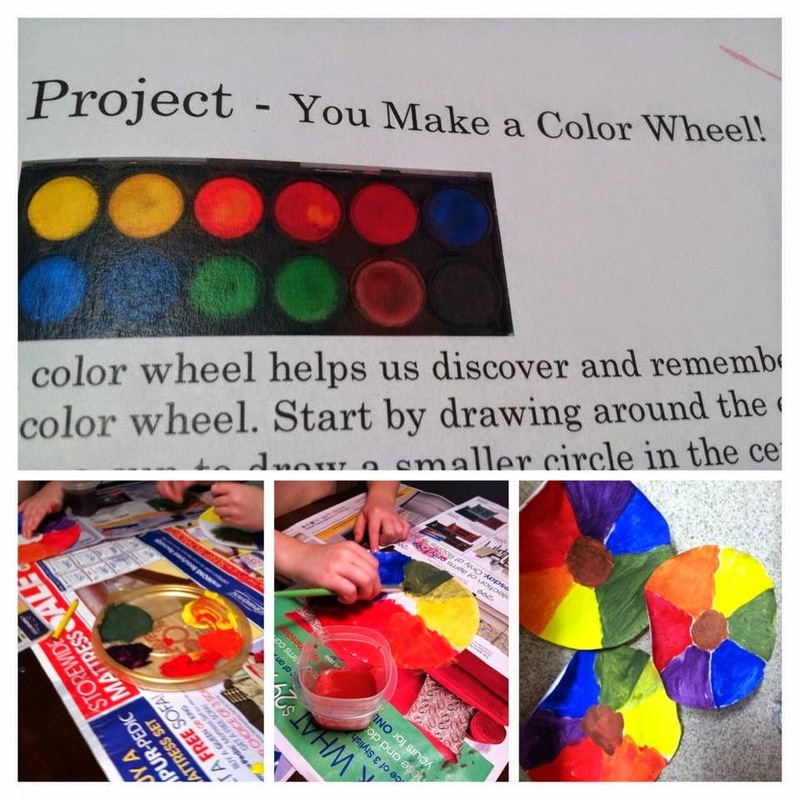 Now The color wheel was fun! I will say no matter how old I get I still enjoy making my own colors our of the primary colors. When we were mixing them I had to restrain from wanting to do it myself for them so that I could play. They all already had the concept of mixing colors and what you get from it but they really did not get the brown. So when we mixed all the colors they were very surprised that we got a good brown from it. Overall this book was fabulous! I can not wait to get through it and be able to purchase one of the other books to explore more ways to use art. Also I love how this will grow with us with the books for middle school and high school.